Israel jets hit three locations Saturday morning in retaliation for missile on Netivot. IAF struck again at night. IAF jets struck three terrorist targets in northern and central Gaza Saturday morning in retaliation for a Grad missile attack on the Israeli town of Netivot Friday night. The IDF Spokesman's Unit said that accurate hits on target were identified. 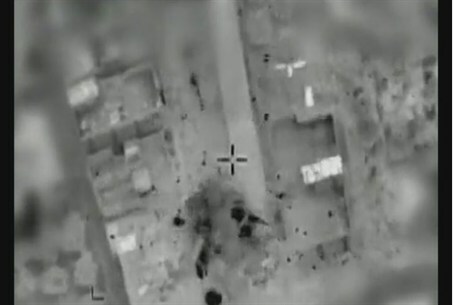 On Saturday evening, AFP reported that one person was killed, in what seems to be a separate IAF strike. The IDF issued a statement saying that members of the Shura Council / Global Jihad were eliminated but did not specify how many had been killed or give further details. The Shura Council had claimed responsibility for the attack on Netivot, a purely civilian target. According to reports in Gaza, in the morning strike, IAF jets hit a structure used by Hamas in the Sheikh Radwan neighborhood of Gaza City. The structure and adjoining buildings were damaged. In addition, a training facility at Nuseirat and another target at Al Bureij were hit.